Readers of historical fiction tend to gravitate to certain periods. There are huge clumps of writers and readers fascinated by The US Civil War, World War 2, and One of the hottest trends the last little on both TV, the movies, and novels has been the Tudor period. Cable TV is littered with torn bodices. I will confess somewhat ashamedly, I have somehow missed the boat. If sheer numbers are any indication, there are a lot of people out there who find that time more fascinating than I do. Enter Samantha Wilcoxson, and her Plantagenet Embers trilogy. The latest installment, Queen of Martyrs is now out. Samantha, you and I are both members of the Historical Novel Society (join us on Facebook here). What else should we know? I’m the author of the Plantagenet Embers Trilogy. 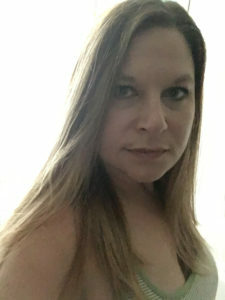 An incurable bibliophile and sufferer of wanderlust, I live in Michigan with my husband and three teenagers. Three teenagers? That explains your obsession with family blood-letting and intrigue. What’s Queen of Martyrs about? 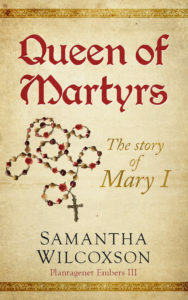 Queen of Martyrs is biographical fiction that transports the reader into the life of Mary Tudor. The story begins with her receiving the news of Margaret Pole’s execution in 1541 and follows her through the rest of her life as she struggles as a bastardized princess who finally becomes queen. My objective was to humanize the woman that many people today dismiss as ‘Bloody Mary’. There is so much more to her character, and many of the ‘facts’ people believe about her are no more than myths. My research made it shockingly easy to find sympathy for Queen Mary I. As England’s first queen regnant, Mary faced many challenges, which she was, quite frankly, unprepared for. She failed to realize how great the outcry would be against her choice of Prince Philip of Spain as a husband. She did not recognize the great religious changes that were taking place throughout the world and that could not be ignored or reversed. Mary was a devout, caring woman, but she was no politician. In this intimate portrayal of her, readers are invited to enter her world, share her heartbreaks and victories, and gain understanding of this complex sixteenth century woman. I confess I’ve kind of missed the whole Plantagenet/Tudor thing. What’s your fascination with this period? Some readers might be surprised to discover that the Tudor era is not my first love. It was the Wars of the Roses that captivated my attention, but I was looking for a new angle that had not already been written about. That was how I began with Elizabeth of York in Plantagenet Princess, Tudor Queen. I had not planned a trilogy, but the story of the York remnant unfolded in front of me, ending with Reginald Pole at Mary’s side in Queen of Martyrs. The fifteenth and early sixteenth centuries are interesting not only due to political upheaval, but the impact of religious changes that forced people throughout Europe to evolve in their thinking and way of life. The heavy influence of faith on daily life is difficult to wrap the modern mind around, but that is just what I appreciate about studying the medieval and reformation eras. Without giving away the good bits, what’s your favorite scene in the book? One of my favorite scenes in Queen of Martyrs takes place during the reign of Edward VI. This was a turbulent time for Mary as she watched the country she loved falling into heresy. At that point, she had no reason to believe that she would become queen. She was her brother’s legal heir, but he was much younger. In this scene, Mary has the opportunity to escape England with the help of Holy Roman Emperor Charles V. This is when Mary decides that she must remain in England and do what she must to save her brother and all Englishmen, though she may be forced to pay the ultimate price. It is a great misconception that Mary’s attempt at counter-reformation was based on bitterness or a need for revenge. Mary truly believed that she was doing what was necessary to ensure that her people enjoyed eternal life in heaven, and I think this scene gives readers a poignant view of Mary’s true motivations. The best place to find me is on my blog. 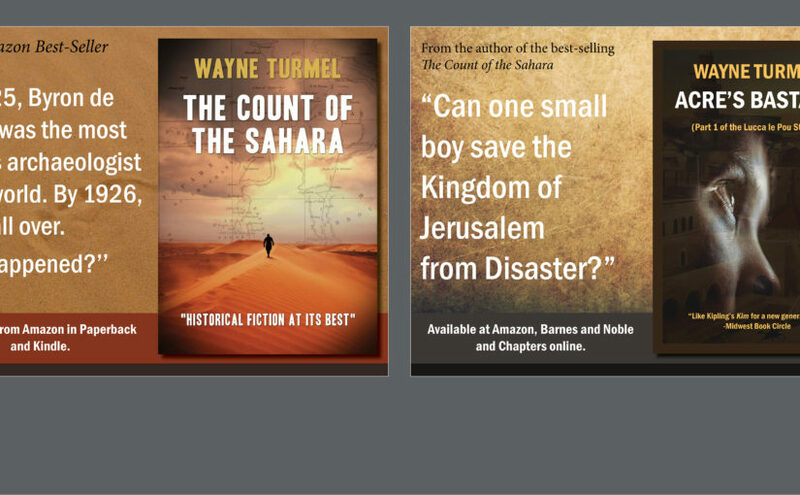 I also invite everyone to follow me on Twitter, Facebook, Goodreads, and Instagram. Besides bookish news, I share a wide variety of history articles and images of historic places that I visit. I love to share my tendency toward bibliophilia and wanderlust with friends! My books are available in paperback and on Kindle on Amazon. They are also free with Kindle Unlimited!